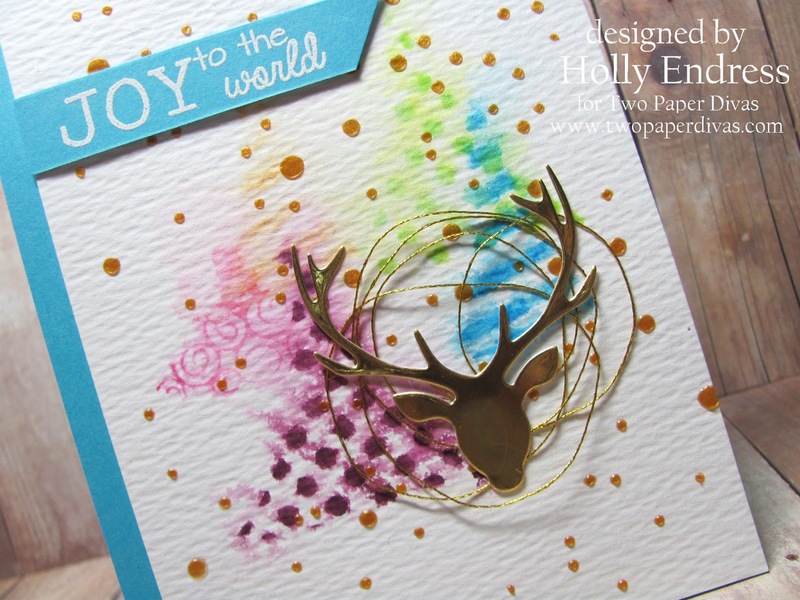 Hollybeary Creations : Joy to the World! It's time for some more Christmas cards.. after all that time of year is right around the corner. 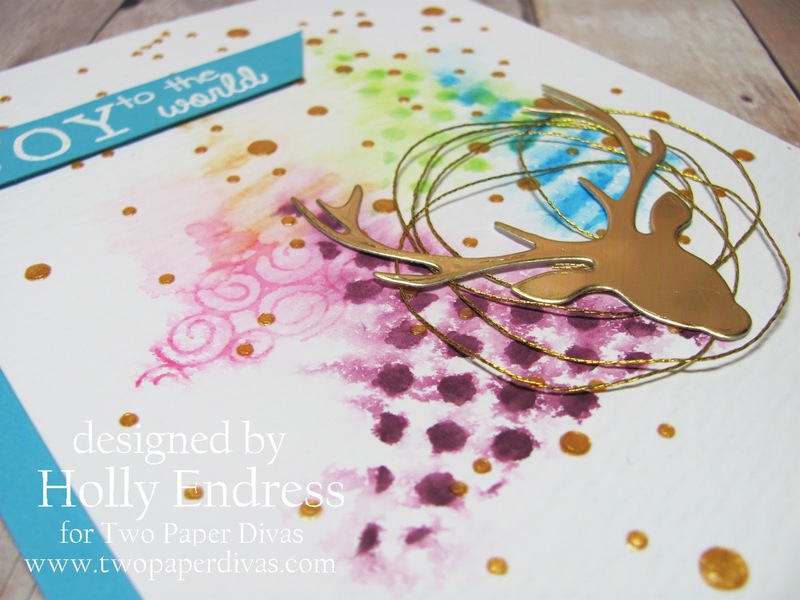 Two Paper Divas September release is here and it's full of images perfect for the Holidays or all year. Today I'm using the new set Sassy Trees. This set has three trees with a filler and an outline image. I stamped the fillers using some Distress Ink onto a piece of watercolor paper and Spritzed the paper slightly to get the ink to move a little. Once that was dry I used a stencil from Simon Says Stamp and some Gold embossing paste to add the dots. I trimmed 1/4" off the panel and added it to a Turquoise card base. I stamped the sentiment from Holiday Sentiments onto a piece of the same Turquoise card stock and heat embossed it in White and trimmed it into a banner. I die cut a Stag head (Essentials by Ellen) from some Gold paper and added some Gold floss behind it and adhered it with glue dots. I didn't want too much extra dimension on this. Teh colors on this could be changed up for a different look as well. Head over to the Two Paper Divas blog for more inspiration with this Month's New Release! !